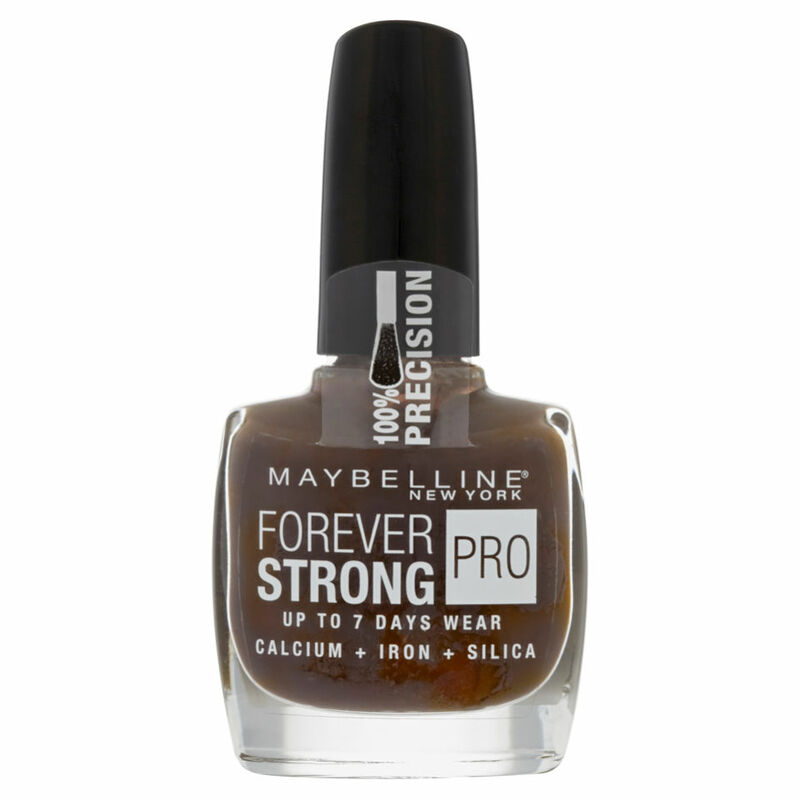 Designed with a patent formula, this Forever Strong Pro by Maybelline New York gives you nails an all over, even coverage with an unbeatable shine. Featuring a precision curved brush for easy and precise application, the rich colour and high shine will give you a show stopping look that lasts. With a formula that's enriched with Iron and Calcium to keep your nails strong and supple, this nail varnish is a must have. K.D.